I seriously never want to mix electric guitar without this plugin ever again. It's just lovely. Amazing for low mid cuts. 500hz is rarely useful in any abundance - that's why we have nicely curved EQ's like the pultec to scoop them out with grace. I am a new owner of the A-Range and this EQ has replaced the pultec as my go-to low mid scooper. Simply add to a saturated, muffled sounding bluesy guitar track and start pulling out 500hz and now the guitar is back in the mix where you need it to be. Same with boxy vocals. The low end boost is powerful, and combined with my above thoughts makes for a great EQ to shape kicks with. The HPF/LPF are useful and can be stacked for more dramatic effect. Only criticism is that I have yet to really use the top end EQ with much luck when it comes to boosting, and would still recommend a different EQ for this duty. Not a review more of a recommendation. I thought i would take a chance on purchasing this plugin. I never got to trial it in advance but I can assure you, I am not disappointed. It has a lovely and unique character and tone. I have never heard anything quite like it. This EQ works fine. Never heard such a brilliant sound. Bass and Drums rule on the Trident. My god, what a bass sound I now have! I use Ampeg SVX, Uad Dbx 160 and the Uad Trident for my Bass guitar. Uad 1176 and Trident for Kick. It's sold me like no other eq I've tried for Bass and Drums. Really, that Big of a difference! 100-150hz increase seems to be the bomb for bass guitar, maybee a 250-500hz cut, just a little. I may just turn every track into the Trident, what a great sounding Eq! This is my favorite EQ for adding top end. It's very natural and pleasing to the ear and the reason I bought it. Out of about 100 other EQs I have, I haven't found another one that quite does what this can do. Want clarity - buy this! This plugin has many uses, but i find it particularly great in the mid range. Great for guitars. Fantastic and easy to use. I've been a fan of Trident style equalisers since I worked on an 80B console sometimes in the 90's. The UA plugin emulates the near mythical A Range variant, and the family sound its all there - the ultimate "colour" eq. For me its all about what it does to the low frequencies, adding a lovely warmth, sheen and velvety "bigness" which is the very antithesis of clinical and surgical filtering. I've been comparing it with the filters on my ATB console, the family sound is there and the plugin definitely holds its own, even when boosting rather more than I normally would. They sound slightly different, of course, but as two pieces of hardware would. A great plugin. I came accross the Trident a couple of weeks ago. I was desperate to use a different EQ. And thats what it describes it best. Unique and different. Meanwhile i use it in every channel of my mixdown. The rudimental approach of the Trident makes EQing less surgery, but more intuitive. And i´m always stuned by the result of the different filter/Hz settings, as they interacte somehow. It´s made by musicians for musicians. I would say its a "musical" EQ. Just loving it! Incredibly warm and shiny! One of the best EQ's I have EVER heard! 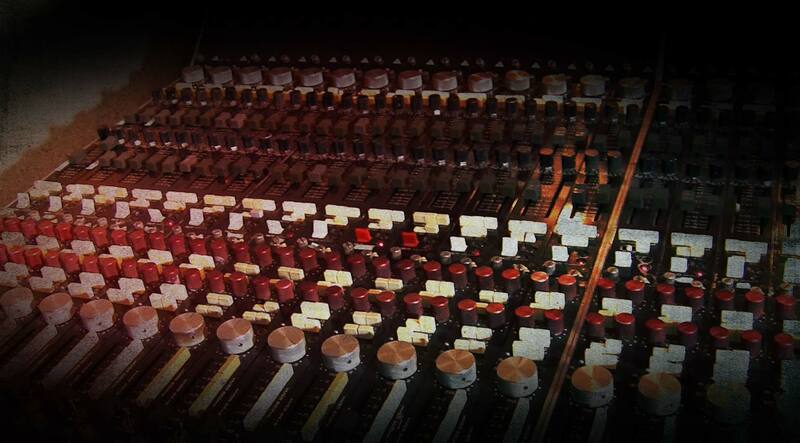 Certainly ranks among UA's most spectacular best, right along side the Pultec, Neve 1073, etc. In fact, while this plugin certainly has the good-old fat Trident sound I distinctly remember, I cannot honestly say that I remember loving the original as much as the plugin! I think the plugin may sound BETTER than the original in-board Trident EQ! This equalizer is extremely easy to operate, musical and rich in color nunances. One of my favorite plugins developed by the UA team. Its feature vintage does not limit the application of the equalizer, working well in modern mix. Simple for simple situations. 5 stars! The Trident A Range EQ strip is an excellent addition to any studio engineer's toolbox, providing a wide range of features within a clear, easy to use layout. It is possible to use the strip to focus audio, clearing up muddy or dull instruments. With practice the Trident strip can be used to add warmth and depth, making it ideal to work with live drums and electric bass. For engineers working with cover bands, or recording bands that hope to achieve a classic rock sound, the Trident is invaluable, as just by switching the strip on and starting to move the EQ faders, it is possible to re-create mixes in the style of artists such as David Bowie, Metallica and The Police. A recommended purchase, working particularly well alongside a channel strip with different, complimentary characteristics, such as the Neve 88RS emulation. Excellent plug-in. It is just fantastic and perfectly works on guitars and drums. I love this EQ but it can introduce a littlebit of unwanted distortion when pushed harder in very high frequency. Rock guitars and rock pianos. I like Elton John's 70s piano sound very much and it still works today. Presets are wonderful, right in the ballpark. Just a bloody mystery how this really works. Apparently it was a confusing concept for the makers and early users too. I can't tell the difference between this and the Softtube version, except for that imaginary dial they added to theirs. I just wish UAD had more artist presets for all their gear. The UAD-2 Trident-A-Range is hands-down the greatest EQ I have ever used on vocals. I have often found getting a consistent vocal sound quite tough. I toyed around with the Trident and found that I could could remove the boom and the mud from my voice without draining the life out of it and getting the highs to sound shiny without sending the sibilance through the roof. I made a preset and tried it on all my unfinished tracks. It produced the same, clear, warm sound on each vocal. Amazing! I A/B'd the Trident plug-in against other UA EQ Plug-ins, such as the 1081, which is a favorite of mine, and although I was able to pretty much nail the EQ I got from the Trident with the 1081, there is just something about Trident that had me choosing it over the 1081. Something not so obvious. A little kick in the pants perhaps, and perhaps a bit more rock and roll for lack of a better description. Overall, getting to my choice sounds is a lot faster with the Trident. It's almost like it knows where I want to go. Especially killer on kick, snare and raunchy guitar work. UA plug-ins in general are superior to any comparable plug-ins on the market. Sometimes even the real thing. Really, really hard to make this EQ plugin sound bad. The interplay between the low-pass filter and the 50hz boost is really sweet - like a Pultec in its shaping, but with more control. The high end is beautiful, and right up there with the Harrison and Helios plugins in that regard. The mid-range is where a lot of the shaping comes into play, especially when broadly painting some color onto a drum buss. This one adds quite a nice "dirt" to the sound. The way frequencies interact one with the other is fantastic. It's a high coloring EQ but, thats exactly what i look for....For clean EQ's we have many. I come here specially for voices...give a try pumping up around 150Hz and you will not hear the voice mud but really "big" instead. Great plug to go out from super clean EQ's. If you look for crystal clear, pristine EQ, this is not for you guy. The best software EQ I have used. Allows me to add highs without sounding fake or harsh. Buy it and you won't regret it. Use it on vocals, acoustic/electric guitars, drums, etc...just sounds like rock n roll. This is def. a color plug so if you want clean this is not it.